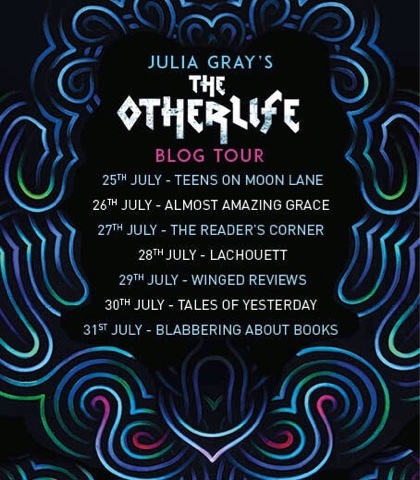 'The Otherlife' blog tour! | Almost Amazing Grace. I am so honoured to be taking part in the blog tour for this new and excellent book. 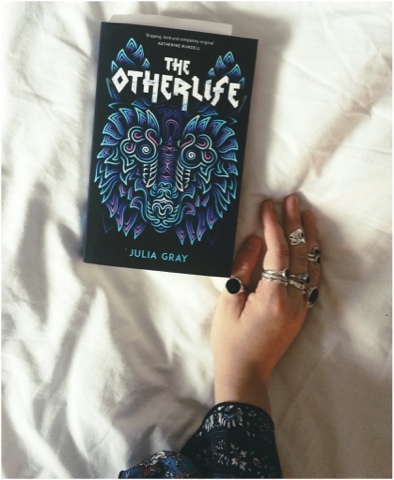 'The Otherlife', by Julia Gray, was officially released into the world by Andersen on the 7th July. The YA book is a perfect blend of contemporary and classics - classics, as in mythology and monsters and all things fantastical! 'When troubled, quiet Ben begins at the ruthlessly competitive Cottesmore House, school to the richest, most privileged boys, he is befriended by Hobie: the wealthy class bully, product of monstrous indulgence and intense parental ambition. “I’m convinced that fear is at the root of most bad writing,’ wrote Stephen King in his part-memoir, part-manual ‘On Writing’. I agree, but would add that fear is also at the root of doing no writing at all. I have a real tendency to undersell myself, to tell myself that there’s no point in continuing with things, because they probably won’t amount to much. It’s a kind of insurance: if I don’t allow myself to hope too much, I can avoid unnecessary disappointment. (The Eeyore school of thought, if you will.) However, I have finally realised that without a starburst of starry-eyed optimism, it is pretty much impossible to sit in a chair for long enough to write an entire book, let alone a tortuous set of redrafts. One of the most surprising lessons I’ve learnt, therefore, is how to be a more positive thinker. Less like Eeyore. More like Pooh. Or Tigger. There’s the writing (and the replotting and the rewriting and the reformatting), and then there’s the waiting. Waiting for a phonecall, which is never a phonecall, because book people send emails, and if they want to call you then they email first to arrange a convenient time to call you. Pouncing on your phone anyway, whenever it rings. Waiting for an email to slide noiselessly into your inbox, all pristine and full of unopened promise, only to realise that it’s another despatch note from Amazon or an Ocado voucher for 19p. Waiting for news, because when your book has finally wobbled its way into the world, dodgy commas fixed and plot-holes plastered over, time takes on a kind of other-planetary quality. A week could be a year, or that’s how it feels. I think I spent from January to August of 2014 in the bath watching Desperate Housewives, because this compulsive pursuit made me feel as though time were being measured somehow. It was a great TV series, but I am sure there are more useful things I could have done. Note to self: next time, I will wait better. Time-wasting is pointless. Patience is good. Discovering the Scrivener software was a revelation. Available for both Mac and PC, it aims to replicate a kind of ‘writing shed’ in which you might store all your research and files and folders and hand-drawn maps and so forth. The software is very user-friendly, especially if you make time for the interactive tutorial. It’s adaptable to any kind of writing and files can be exported with ease. For me, Scrivener changed the way I think about a work-in-progress - instead of a linear, unwieldy Word document, a book becomes a living organism, constantly changing but infinitely more manageable in its complexities. Also: Kindles make excellent editing devices, especially on long bus journeys. On my beloved Kindle Fire HD I would annotate and highlight - yellow for omissions, orange for mistakes, blue for parts I needed to fact-check or come back to later.